Last week, Vice President—Assessment Tools Kevin Bolduc and Senior Research Analyst Andrea Brock attended the Council on Foundation’s Community Foundation Conference in Charlotte, NC. Here they reflect on some of the conference’s major speakers and themes. Kevin: Andrea, I was a little nervous when Arne Duncan, Secretary of Education, got up to speak during the lunch plenary on Wednesday. After hearing Michelle Obama’s videotaped address earlier in the week, I was worried that his address would be just as, well, worrisome. I was disappointed to hear the First Lady move past her opening boilerplate about the importance of community to ask every single community foundation in the room to add another focus to their work. Andrea: Kevin, you make some great points. It was a privilege to hear Secretary Duncan and the First Lady address community foundations. However, I took something different out of their speeches, which I believe had a number of similarities, actually. After all, didn’t Secretary Duncan essentially urge everyone in the room to start working on education if they weren’t already? But you’re right, Secretary Duncan did make the point that he believed community foundations couldn’t be everything to everyone and still make considerable impact. But what I believe was most unifying in their remarks and the linchpin of the conference, for me, was the importance and need for community foundations to collaborate and leverage other resources. Both of these issues — education and veteran services — are areas where the government spends considerable amounts of money. What I heard the First Lady and Secretary Duncan say to the crowd was (my paraphrasing): “Come work with us! Leverage the money we are spending so that we can be all successful in these areas.” It was not only a message of foundation collaboration, but of collaborative and supportive efforts between foundations and government. Kevin: Fair point, Andrea. We do need more and more open conversation about collaboration — both their successes and the barriers to funders collaborating well. One of the barriers to success that struck me as I chatted with people at the conference is how little really reliable information many community foundations have on their communities’ needs. The dive in the economy seems to have left a lot of community foundations working from “community needs assessments” that are five or six years old, or even older. Things have changed so much in the last few years. Maybe there’s an opportunity for collaboration around creating the information needed to develop better shared goals and strategies across funders – both individuals and foundations. Tools like the Boston Indicators Project, highlighted at one of the sessions, are a step in the right direction. Andrea: I should also point out that the conference had several sessions on successful collaborations, despite the challenges inherent in collaborating with others. One of the sessions I thought was particularly good highlighted Read to Succeed Buffalo, a collaborative effort between the Community Foundation for Greater Buffalo, The John R. Oishei Foundation, and several other partners (including government). This session highlighted what has worked and why. Sharing experiences of successful and long-term collaborations, like this one, are needed. Like you mentioned, only more research and more data — even on what doesn’t work — will help more collaborations succeed. Kevin: I left COF feeling positively because I don’t think I’d ever heard as many conversations, like the one you’re describing about significant community leadership efforts, at a previous COF Community Foundations Conference. I’m optimistic that Secretary Duncan’s point of view will win the day and that we’ll see more and more community foundations thinking carefully about how they can align resources across a community to focus coherently on producing critical community change. Here’s hoping. Andrea: I completely agree. I witnessed a number of interesting conversations among leaders about community foundation strategy. Hopefully our research that is currently underway about community foundation strategy will aid in those conversations. Has Anything Really Changed in Philanthropy? 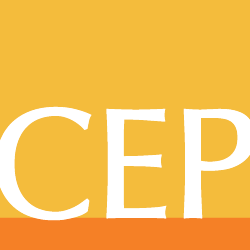 The CEP Blog is a forum for a wide range of views and perspectives on what it takes to be effective in philanthropy. Join in with a comment or submit a post for consideration by emailing ethanm@cep.org. Due to the volume of submissions, we can only publish a fraction of the posts we receive. We select submissions for publication based on relevance to our audience of foundation leaders and donors.